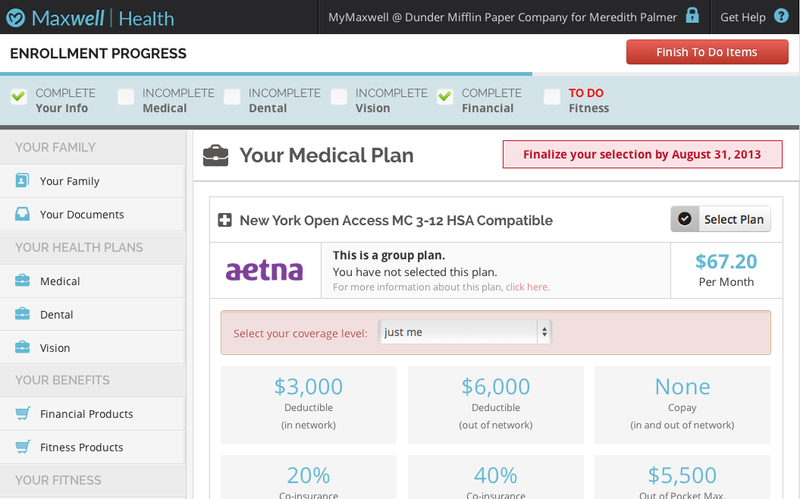 Maxwell Health, a platform that provides easy-to-manage health insurance, has raised $2 million in Series A funding. Leading the round is Tribeca Venture Partners, with participation from Lerer Ventures, Vaizra Investments, BoxGroup, TiE Angels and a few other angel investors. This round brings the company’s total funding to $3.8 million. Launched in February, Maxwell Health is a no-cost, benefits management service for businesses for medical, dental, vision, life, disability, COBRA administration, HRA/HSA, FSA and 401(k). CEO and co-founder Veer Gidwaney says the new round of funding will go to adding new service features, increasing outreach and building distribution. 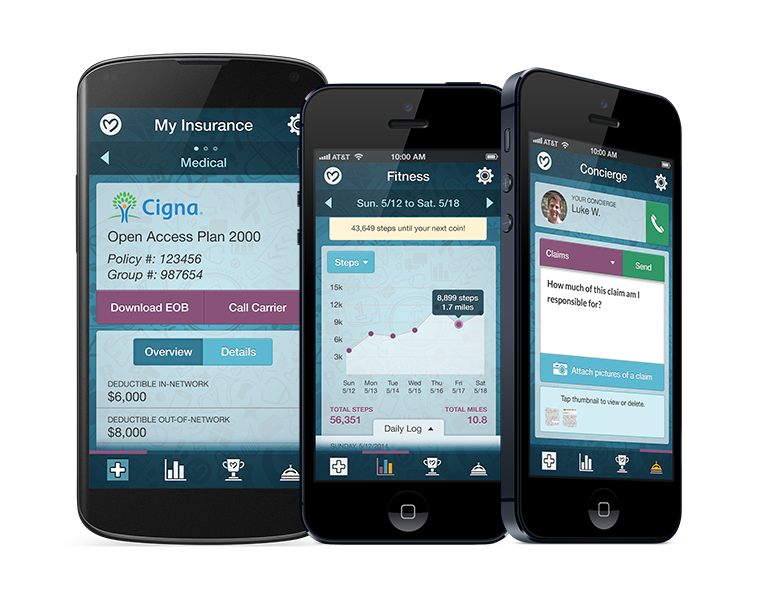 The startup allows employees to see a greater selection of insurance plans and provides advice on which to choose. Employees with existing plans can use Maxwell Health’s platform to manage their benefits on the portal. Its dashboard allows businesses to track hiring, employee engagement and company spending. Maxwell Health can provide all this for free, because it earns commission for each insurance plan chosen by its users. If Maxwell Health’s business model sounds familiar, that’s because it is– to a startup called Zenefits, which has seen large success in California and just raised $2.1 million. Zenefits has about 110 clients and is in the top five percent of California’s insurance brokers, according to our recent coverage of the company. Its service provides management of payroll, hiring, medical, dental, vision and 401(k). But a couple of Maxwell Health’s features could give it an edge against Zenefits, as well as healthcare organizers like Cake Health and Simplee. Maxwell Health puts a heavy focus on independent health by offering incentives for employees to eat healthy diets and exercise regularly. Each employee uses a fitness device and receives points for activity, which can be traded in for rewards. Another notable addition is its “concierge service,” which acts as an advisor for health related questions and takes care of bills, insurance disputes and medical appointments. Users can send photos of their medical claims to the concierge and he or she will handle it on the user’s behalf. With dozens of businesses on board, Maxwell Health a ways away from Zenefits client base. However, it is licensed to serve businesses in 24 different states, while Zenefits is restricted to California and New York, though it’s looking to expand. If Maxwell Health can provide a comprehensive platform for insurance and payroll before its competitors, it could have a considerable leg up on any new businesses moving into this space. As far as services go, Maxwell Health seems to have just about all its bases covered. But it doesn’t stop there. The company is also planning to add nurse on-call service, as well as tracking and managing nutrition, sleep and stress.